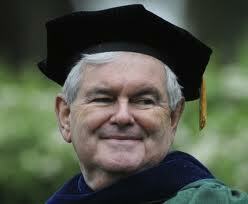 Professor Newt Gingrich thinks “Judges who have ruled in favor of gay marriages or against prayer in schools are ‘activists’ who should be thrown out. 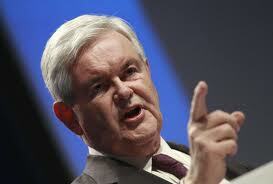 They should be called before Congress to explain their decisions” (a process Newt himself is familiar with). He spoke of the precedent set by Thomas Jefferson in 1802 when he abolished 3 Federal courts. That may be true, but in Newt’s world, in an effort to keep their jobs, wouldn’t judges end up making decisions based on what they believe a particular Congress and/or President’s ideologies are, instead of based on the judges’ own interpretation of the law? Funny, the Newtster never mentions the activist majority on the Supreme Court; reversing 100 years of precedent and decreeing corporations people.